I probably have the best job on the planet, I travel the world taking drone photos and video for destinations and hotels all around the world. I have traveled with my drones to more than 40 countries and have thousands of hours in the air. 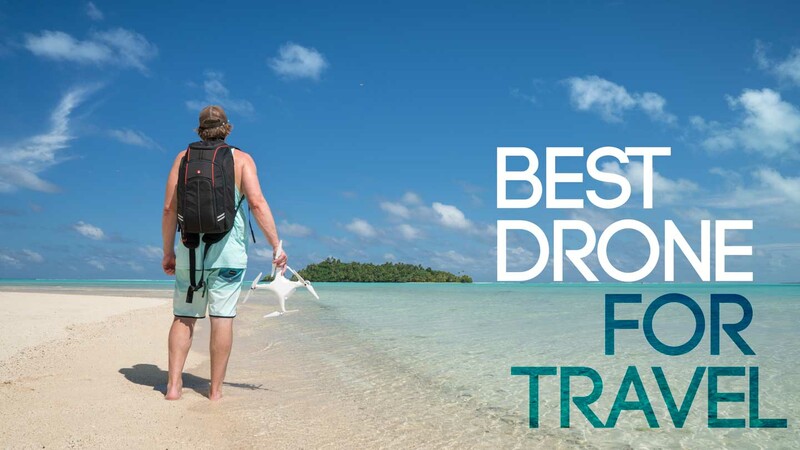 From all my experience I have put together the list of the best drones for travel currently on the market. Later in the post, I have also included lots of tips to get better photos and videos from your drone while you travel. Since my first drone several years ago I never leave home without my drones. The photos and unique perspectives a drone gives you are amazing for travel photos and videos – I couldn’t imagine leaving my drone at home. In this article, I will try to help you find the best drone for your travel style and needs. Taking a drone traveling with you is a big investment in many things like money, bag space, effort to research drone laws before you go anywhere – and that’s why I only want to recommend drones that are actually worth traveling with. There are lots of drone brands out there and some may look inexpensive and boast nice features. However, there are only a handful of worthwhile drones on the market currently and when you talk about traveling with a drone that list gets even smaller. Here is a short list of the only drones I would travel with. Since the release of the Mavic Pro 2 this will be the only drone I fly while traveling. I own two of these now and I won’t be traveling with my Phantom anymore, the Mavic 2 Pro is that good. The Mavic series of drones were built for travel. They fold up and take up a minimal amount of room in your luggage. Not only do they fold to save space they really don’t give up many features you see in larger drones. The biggest improvements in the Mavic Pro 2 are in the camera. DJI has finally put a robust camera on to a foldable drone. On the nose of the Mavic Pro 2 is a Hasselblad 1″ sensor camera attached to a three access gimbal. The camera can take 20-megapixel stills and shoot 10-bit 4k video. The pictures and the videos are super sharp, the original Mavic and everything but the Phantom Seris of drones can even come close to this new camera for quality and sharpness. The Mavic 2 Pro, in my opinion, is the best drone for travel. In addition to the small fold up footprint, the Mavic 2 Pro improves upon the Mavic pro with another 3 minutes of battery life and a full set of advanced smart functions. The other nice improvement is the new blade design of this great travel drone. 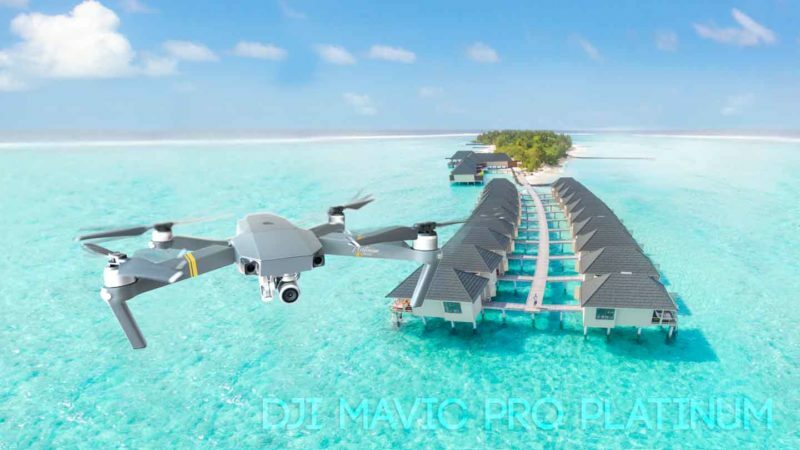 DJI changed the prop design to be quieter, which may not sound that important, but a quieter drone means you’ll disturb fewer people on the beach or around the pool so you can get more and better shots. While the Mavic 2 Pro still makes noise, it is a noticeable improvement and once you are flying more than 60-100 feet in the noise is very minimal. Increase safety features and another huge improvement on this travel drone. The Mavic Pro 2 now has sensors in every direction to help prevent crashes. The Mavic Pro and Mavic 2 Pro fly so smoothly that you can easily get wrapped up in an epic shot and not see that you a headed right into a tree, while the old Mavic only had crash detection from what was in front and below it, now the Mavic Pro 2 has your back (and side(s) and above you) with multiple cameras to help avoid those pesky trees. But what about the Mavic 2 Zoom? For me the zoom is a little gimmicky, while I have seen some interesting videos come from the zoom version of the Mavic 2, I don’t see very many use cases for it to make up for the smaller camera sensor and other video improvements on the Mavic 2 Pro. For me it wasn’t even a consideration, if I need to get a closer shot of something, I will just fly my Mavic 2 Pro closer to it. The advertisements show close up shots of people and animals, but you shouldn’t be taking pictures of people who aren’t involved with your photo shoot anyways, so just fly closer to them. As for animals, I have never seen an animal stand still for a drone photo, no matter how far away they are. You shouldn’t really be flying drones near wild animals, most animals are very afraid of the sounds the drone makes and you can actually put the animals in a bad situation or hurt them when they run away from your drone. Lastly, the cool zooming shots you can get from the zoom are very interesting looking, but you can do most of these with editing software very easily too. So, for me, I don’t see the need for the Mavic 2 zoom, but other than the camera it’s the same drone and very well built. If the features are something you are into, it’s still a great drone, for me, it just doesn’t fit what I shoot. Another great thing about the Mavic Pro 2 is that they are basically ready to fly right out of the camera bag. The props can stay attached while traveling and setup time is about a minute or less. Low ground clearance – The only real issue with the Mavic is that the low ground clearance landing this drone can be challenging. Hard to Hand Catch – It is hard to catch the drone when you are traveling on a boat or other situations where the ground is not flat and clear. Other larger drones you can catch easier. If you practice you can hand catch the Mavic 2, but if you catch it the wrong way you can damage the gimbal easily (or your fingers!). I did this one of my first few flights with the Mavic 1 Pro while traveling out on a boat. Less capable in windy conditions – The Mavic can theoretically only handle 18mph winds, however, I have pushed it much past this. If you are looking for the smallest travel-friendly drone the Mavic Air is the one for you. This is an awesome unit and right now it’s only $799 here on DJI. So, you ask why isn’t it number one on the list? For me, the space saved doesn’t out weight a few features for me – most importantly the battery life. Each Mavic Air can only fly about half as long as a Mavic Platinum battery. If you are out hiking or traveling somewhere remote where you can’t charge your batteries, having that extra flying time is important. The camera design on the Mavic air is different and from the early feedback seems to be a bit more durable than the Mavic Pro/Platinum. However, the sensor is smaller meaning the quality of the image could be slightly reduced – but you are likely unable to see much of a difference unless you are very particular about your drone footage. Another awesome drone for traveling is the Mavic Pro. This was DJI’s first consumer foldable drone released in fall of 2016. This thing is a beast and well suited for adventurous travel. Most of the pros and cons are the same for the Mavic Pro and the Mavic Platinum. Currently, the Platinum is slightly more expensive and if you can afford it, the few new improvements are great to have, but you will not be disappointed in the Mavic Pro. The Mavic pro is my drone of choice. I started flying DJI Phantoms and after several long hikes with them, the Mavic changed the way I travel with a drone. It’s no longer a burden to take a drone on a very long hike – even if you don’t end up using it, it’s ok. Sensitive Gimbal – The gimbal on the Mavic Pro and Mavic Platinum are very fragile and you need to handle them with care. If you want the best possible quality photo and video then the Phantom 4 Pro Drone is the best drone I would consider traveling with. The Phantom 4 is still small enough to drag around the world with you, but it is much more of a luggage commitment than the tiny Mavic series drones. I still sometimes travel with a Phantom because it can handle windy conditions better, it has better image quality, and it’s easier to land in tricky situations. For example a very rocky boat it’s extremely difficult to land a Mavic because the landing surface is moving up and down and the boat may be spinning or even moving. The Phantom you can easily grab by the legs to land safely and easily. I have caught and landed a Phantom on a moving boat in 25+ mph winds – This would be very risky with the Mavic. It’s huge (relatively speaking) – this drone will take up most of a medium size backpack. However, other than the size this is an awesome drone, and if size doesn’t matter as much to you – say for something like an epic road trip in the USA, I would take the Phantom 4 Pro every time. The Spark is a tiny drone with many of the same features you’ll find in the larger drones. At first glance, this might look like the perfect travel drone, but after a deeper look it doesn’t fold up like the Mavic and ends up taking up a decent amount of space in a bag. While the DJI Spark has several autonomous modes that can capture some awesome travel content, it’s camera isn’t as good as the Mavic or Phantom. It is however really cheap, buy now for only $399. The Spark does not fold so while traveling it will take up more space in your bag. The Spark only has a 2-way gimbal, meaning your footage will not be as stable as it would with the other more advanced drones. No 4k video footage, which might not be an issue for some, but it is quickly becoming the standard. There are many other drones on the market of all shapes and sizes, however, I did not add them to this list because I don’t feel they are worthwhile to travel with. Bringing a drone along on a trip is a commitment of space and time and if the drone performance isn’t of high enough quality, then, in my opinion, it isn’t worth traveling with. Why are there no other brands on this list besides DJI? The main reason is DJI is significantly ahead of the game in the drone industry. The other brands just are not at the same level with reliability and features in their drones and I don’t personally recommend them to travel with. Don’t fly too close to cruise ships – Many people would love to take their drone on a cruise and get some epic photos of the ship, but be very careful. The ships have tons of radio and communications gear that will cause lots of issues with your drone. Between the radio signals and the huge amount of metal that the ship is made of can cause big issues with your drones compass. The drone uses the compass to control position and many other functions. If you get too close to the ship the drone can start flying erratically and cause you to lose control or have it fly away. I have seen this first hand – don’t fly too close to cruise ships while traveling. Don’t fly your drone over political buildings while traveling in other countries – This can get you in big trouble. Always do your research before flying in a new city, take time to learn where the important political buildings are and stay clear of them or you might end up in a foreign police station like I did once in Prague. When traveling with a drone you want to keep your kit light and to a minimum, but you need to have a few essential drone accessories in your travel bag at all times. Polarizing filters – I hardly ever fly my drones without a polarizing filter, especially when I am traveling somewhere tropical. These really improve to look of the footage and make the colors pop. ND Filters – To get the best possible footage from you drone you need to have ND filters. These small accessories can drastically change the look of your footage for the better. Related Post: Choosing the best filters for DJI Mavic. Drone Travel Bag – Nothing makes traveling with a drone easier than the right bag. This is most important for the larger drones like the Phantom series. For my Phantom Drone, I have the Manfrotto MB-BP-D1-Professional drone travel bag and it fits the drone, all the accessories, three or more batteries, remote, chargers, plus there is room for another small camera and I even shove a large microphone in there too. This bag is a steal for only $119 on Amazon. The Mavics I can easily stick right in my primary camera bag the Manfrotto Red Bee 200 which carries my Sony a7riii and other lenses. Extra cable – There have been several times where I go on a long hike and get to something amazing to fly my drone around only to realize I don’t have the cable to connect to my drone remote controller. After a few incidents, I now have a spare cable in all of my bags and I check to make sure they are there before each trip. Extra Batteries – Drone batteries don’t last very long and when you are traveling you might not have access to power to charge them all of the time, so it’s better to have a few spare batteries. I travel with three batteries for each of my drones and generally with a car charger and wall charger this is enough for a day of travel for me. 12v Drone Changing Cable – A great travel accessory for traveling with a drone is a car charger. These come in very handy on road trips, especially when we drove to Alaska. Buying one of these for your specific model of the drone will allow you to charge your drone batteries while driving on a road trip or between locations in the car. Multiport Battery Charging Head – Some drones have adapters to changer multiple batteries at once. The Mavic has a charger that can charge up to three batteries at once. This is great if you only have power for a short time or you want to charge all of you batteries overnight. Extra Set of Props – Always make sure to have at least one set of spare props and maybe two for a longer trip. Props can easily become damaged when taking off or landing – or – damage can happen just removing or install the props. You can order these easily online or pick up a set at a local Best Buy. Gimbal cover and Clamp – The gimbals on most modern drones are fragile and you should not travel without a cover and the clamp installed. The only time the clamp should be removed is for the flight. Even small bumps can cause the gimbal to malfunction and traveling has many opportunities to bump the gimbal. Arguably one of the most important drone accessories while traveling is a good drone bag. This is most important for the Phantom series of drones. The Mavic Pro and Mavic air fold up nicely and can easily fit into a larger camera bag or they sell bags to fit just those drone specifically you can take on a day trip or anywhere when you travel. Use a Polarizing Filter – When taking photos or videos near water (or anywhere really). This is especially important when flying your drone somewhere tropical when traveling. A polarizing filter on your drone will cut the glare from the water surface and give you great saturation and watercolor. Use an ND Filter – When traveling with your drone to destinations like the beach the daylight can be very bright and that can hurt your video footage. Bright conditions will require you to use fast shutter speeds which can make your drone video look choppy especially when flying low and fast. ND filters for your drone will allow you to use a better shutter speed to get a more cinematic look to your drone footage. Make sure to read my guide on the best ND filters for drones. Fly straighter – Skip the fancy moves, unless you are really good at them. Complex multi-direction shots will not look as good as a nice straight steady shot unless you get them perfect. If you want something more interesting try a programmed orbit. 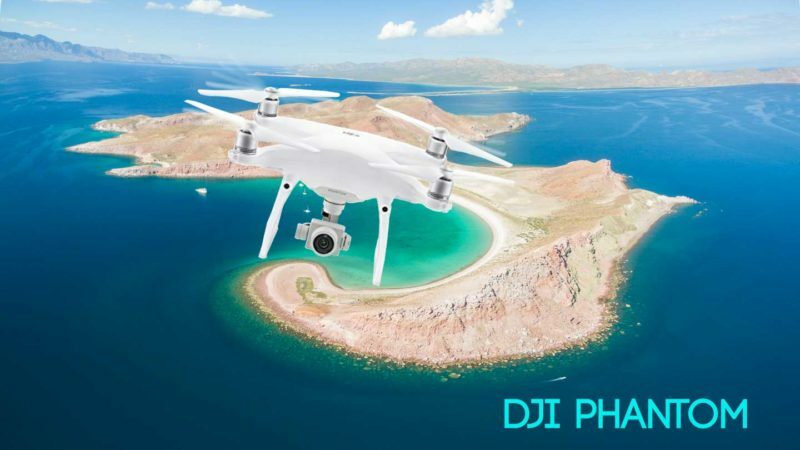 Use the Intelligent flight Modes – The new drones have many autonomous features before you travel take time to learn how to use these features for some amazing drone footage when you travel. Point of interest orbits and active track are some of my favorites to use and they are pretty easy to figure out as well. Most countries around the world do not have established drone laws, and those that do can be extremely restricting. However, the majority of countries have a few basic rules applied and are becoming somewhat universal. 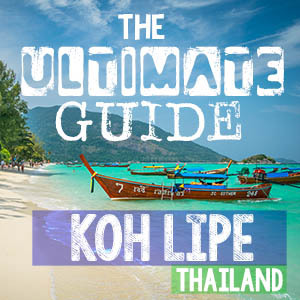 Following these rules does not guarantee you are following the laws of the country you are visiting, but are common sense and a reasonable baseline. Awesome info! I am looking to buy my first drone for “backpack” style travel, and want to keep it simple, but have enough to get great shots. Your article helped me tremendously. I think I’m going to get the Mavic Air with “fly more combo”. I’m also going to buy some filters too, based on your recommendations (I’ll be doing a lot of water shots in the Philippines). Good to hear – You’ll get some awesome shots while traveling in the Philippines with the Mavic Air – and yes the ND and polarizing filters are an absolute must! Have a great trip with your new drone! 1) Would you recommend buying a cheaper drone (sub $100) to learn the basics in controlling and maneuvering a drone before investing in the Mavic Air? 2) If yes to 1), which sub $100 starter drones do you recommend? Hey Ethan – Honestly I wouldn’t really recommend getting a starter drone, you’d be better off saving that $100 to put toward the Air. DJI drones are very easy to fly. The cheap drones are going to have a very basic camera and the controls might be all very different, so it won’t help learn all that much. That $100 would be much better spent on getting the DJI refresh plan, so if you do crash they fix it. Hope that helps. I’m just starting and plan to travel with the drones and finally read this article of yours. Great info this helps me a lot of trouble. Glad we could help you find your first travel drone! Love traveling with my drone and meeting travel dronies online! Us too! What type of drone are you traveling with? Do you recommend any tracker device that can be attached on a drone? Most modern drones have GPS tracking builtin. I would not recommend adding anything to your drone, it would affect performance and not add much value. The DJI Drones I recommended in the article all have this tracking and I have used all over the world while traveling. Good read, thanks for the tips. Thanks! What drone do you travel with?